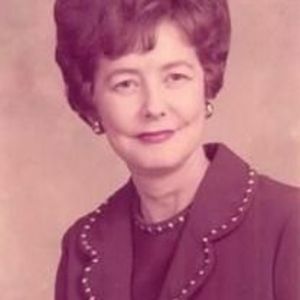 Margaret Guy Bowles, 91, of Rocky Mount, was a devoted wife, mother, and grandmother. She passed away peacefully on November 6, 2015. She was preceded in death by her husband, Melvin L. Bowles and her daughter, Penny Sellers Macklin. She is survived by her granddaughter, Anna Nelms and her husband Bryan C. Nelms of Nashville, NC and her grandson, Joseph W. Macklin, Jr. and his special friend, Kelly Mondak of Rocky Mount, NC, and her great-grandchildren, Chad and Sarah Nelms of Nashville, NC and Tanner and Kayla Macklin of Rocky Mount, NC. She is also survived by her husband’s children, grandchildren, and great-grandchildren whom she loved dearly. The family would like to give special thanks to all of the wonderful caregivers at Brekenridge Assisted Living and Nash General Hospital for their kindness and compassion during her illness. They would also like to thank Rosalie Melton for her love, dedication, and friendship with her Aunt Margaret. Visitation will be held at 10:00 to 11:100 on Monday, November 9, 2015 at Johnson Funeral Home. The service will be at 11:00 immediately following the visitation. The Rev. Dave Grogan will be officiating. Interment will follow in Pineview Cemetery following the funeral service.